Alcaraz Garfia: “My Goal Is To Become A Top 10 Junior”! The 15-year-old Spaniard has earned his first match wins on the ATP Challenger Tour over the past two weeks. What a great week it was for 15-year-old Spaniard Carlos Alcaraz Garfia. Entering the main draw of the €46,600 Murcia Open with a wild card, the teenager beat Gleb Sakharov from France and World No. 140 Pedro Martínez of Spain to reach the third round of an ATP Challenger event with his only second appearance at this level. Alcaraz Garfia came to his hometown of Murcia after making his Challenger debut at the Equelite Sport Academy of former World No.1 Juan Carlos Ferrero in Villena last week. In Alicante, he had clinched his first win against Italian teen sensation Jannik Sinner before he lost to Czech veteran Lukas Rosol. About 100 kilometres further south, the World No. 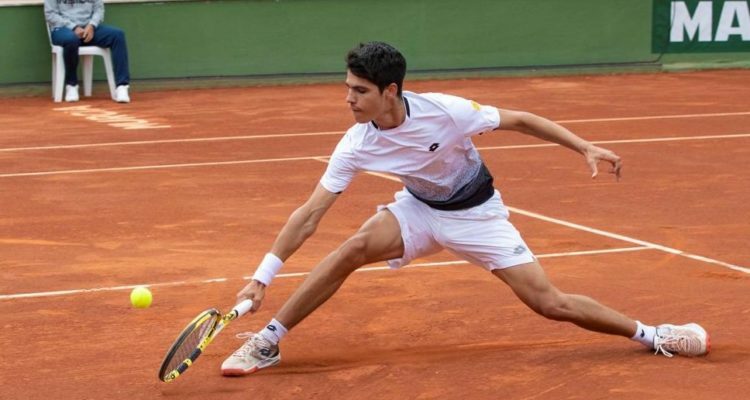 25 in the ITF Juniors Rankings took another important step forward by becoming the first 15-year old to beat a Top 200 player on the ATP circuit in a decade. Alcaraz Garfia collected his first ATP points of the season, expected to being ranked World No. 501 on Monday. “I played a good level of tennis,” Alcaraz Garfia said after falling to 18-year-old Rudolf Molleker of Germany on Thursday afternoon at the Murcia Club de Tenis 1919. “I still need to learn to deal with my nerves on the court,” he was quoted by Spanish newspaper La Verdad.